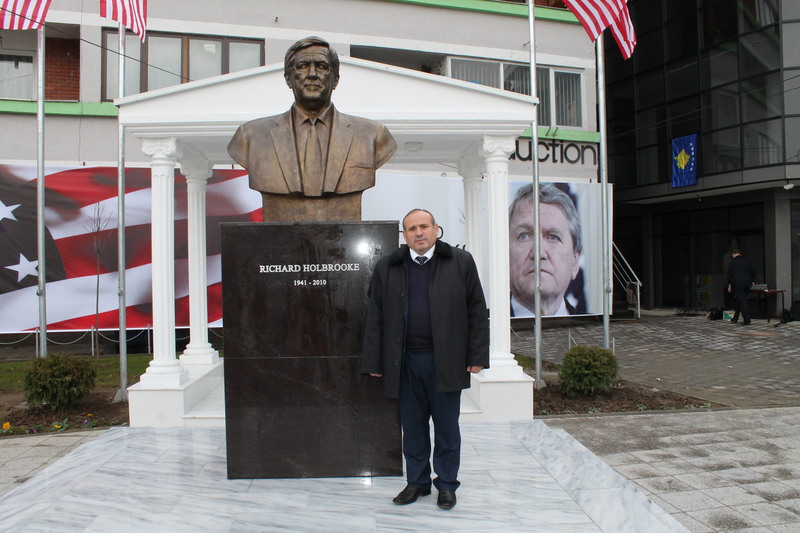 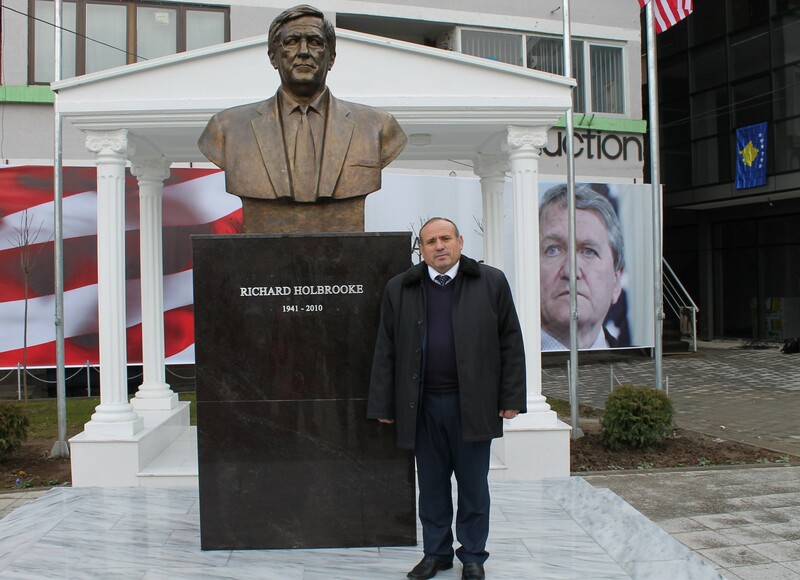 Ambassador Dr. Shefki Hysa, Governor of Diplomatic Mission Peace and Prosperity in the Ceremony of Inauguration of the Statue of the remarkable former American Ambassador Richard Holbrooke in Viti, Kosovo. 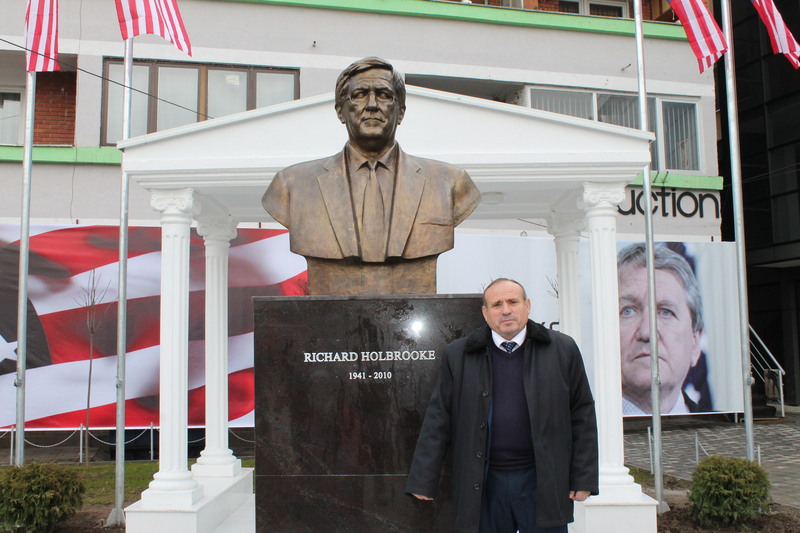 The Statue was worked by the famous Albanian sculptor Idriz Balani and was placed in Viti by initiative of Diplomatic Mission Peace and Prosperity and Mr. Sokol Haliti, Mayor of Municipality of Viti. 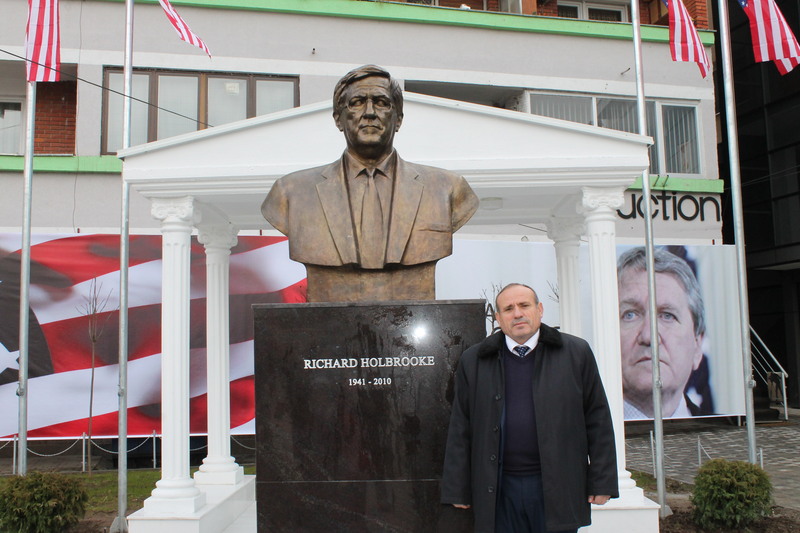 A special contribution was given also by the Community of Stubell, Municipality of Viti.